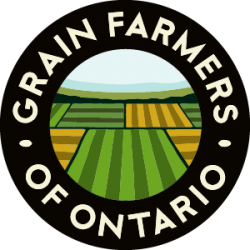 GUELPH, ON (December 9, 2011) – Elevators in 14 new locations across Ontario have been added to Grain Farmers of Ontario’s SellSmart app to make a total of 41 locations with pricing available through mobile devices. SellSmart is a custom app for iPhone and BlackBerry users designed to put local price information at farmers’ fingertips. 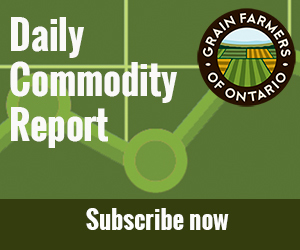 The price data for corn, soybeans and wheat from the Chicago Board of Trade is adjusted with basis information from local elevators across the province and provided on a 10 minute delay. With the 14 new elevator locations added to this app, more farmers can now find their local elevator information to view, compare and receive alerts on commodity prices. In addition to these new locations, the app has also been updated to be compatible with new BB7 devices. The SellSmart app is available for free in the BlackBerry App World and the Apple App Store.